When data traffic snarls in your Wi-Fi router, Qualcomm has an answer for you: a "Killer" traffic cop to sort things out. Qualcomm Inc. (Nasdaq: QCOM), a maker of processor chips for mobile phones and other devices, says it's building an advanced form of data traffic management into its chips for Wi-Fi routers. The San Diego-based company says the feature should help routers intelligently shunt data from today's busy homes. For instance, data packets that communicate moves in an online-shoot-em-up game will get priority over a movie download. Qualcomm is unveiling the technology at this week's International CES show in Las Vegas, a showcase for the latest phones, TVs and other gadgets. The technology, which Qualcomm calls StreamBoost, comes from a small Austin, Texas-based company that Qualcomm bought in 2011, Bigfoot Networks. Bigfoot has raised eyebrows with its high-priced "Killer" network cards for PCs, designed to give gamers split-second advantages in their online duels. Qualcomm is now moving that technology from the PC to the Internet router, where more devices can benefit from it. StreamBoost won't make Killer network cards obsolete, though. Killer will simply work better in conjunction with StreamBoost routers, said Dan Rabinovitsj, general manager of the networking unit at Atheros. Most of today's Internet routers can "shape" traffic flowing through them to give higher priority to time-sensitive data, but they're crude compared with the new chips from Qualcomm's Atheros subsidiary, which can differentiate more than 100 applications, Rabinovitsj said. The first manufacturers to use the chips in actual routers will be D-Link and Dell Inc.'s gamer-oriented Alienware subsidiary. It will be Alienware's first router, and it should be out this spring, along with D-Link's Gaming Router. Prices were not announced. Rabinovitsj said routers are currently the most boring-looking boxes in homes. "We're trying to change everyone's view of that, because our view is that the next big revolution in the connected home is a smart router," Rabinovitsj said. San Diego-based Qualcomm bought Atheros, a leading maker of Wi-Fi chips, in 2011. Aug. 10, 2015 -- Reporter Katherine Connor speaks with Andrew Newton, a patent counsel at Qualcomm Inc. and a 2015 Top Attorney, about his work in the ever-changing world of patent law. Watch all of our Top Attorneys 2015 videos. June 12, 2013 -- Reporter Tierney Plumb speaks with Tim McDonough, vice president of marketing for Qualcomm CDMA Technologies, about the latest technologies at the E3 Expo at the Los Angeles Convention Center on Wednesday. Nov. 30, 2010 -- Executive Editor George Chamberlin speaks with Don Jones, VP of Health & Life Sciences for Qualcomm, about the wireless health industry in San Diego. 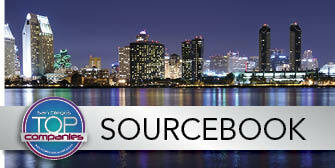 Qualcomm CEO Paul Jacobs was on hand April 17 to launch the MediaFLO service in San Diego.